In today’s world, there are 1.1 billion girls. They are full of potential but are often constrained by discrimination and a lack of equal opportunities. In Laos and Vietnam, however, girls are being given the opportunity to learn valuable life skills and make their mark on the world through rugby with ChildFund Pass It Back. This innovative sport for development program not only promotes the right to play in regions where children have little access to organised sport, but provides important learning opportunities by focusing on gender equality, leadership and financial planning. Oanh from Vietnam is just one of the many young girls and women whose involvement in ChildFund Pass It Back is giving them a new outlook on life. Through ChildFund Pass It Back, Oanh is learning about teamwork, communication and financial management. “I had never played any sport before. Playing rugby made me realise that I have special running skills, which is amazing! I am the fastest runner,” says 13-year-old Oanh. a passionate member of ChildFund Pass It Back in Vietnam. 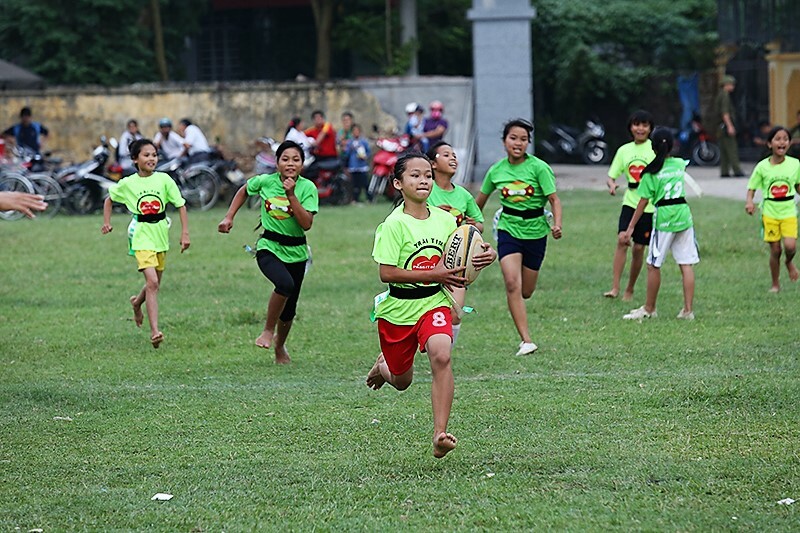 Introducing a previously unknown sport like rugby into communities in Vietnam encourages girls to take part, as it is not traditionally seen as a ‘boys’ game. To date, the ChildFund Pass It Back program has a female participation rate of over 50%. Oanh and her team mates have weekly training sessions, not only learning about the game of rugby, but covering topics such as teamwork, communication, confidence, social community access, and financial management. Every three months they play matches against other teams in their district, and Oanh and her teammates also had the chance to participate in the ChildFund Pass It Back Cup in Laos. For most of the players, this was the first time they had travelled out of their district. Like many girls who take part in the ChildFund Pass It Back program, Oanh feels she has benefited in many ways. “In the past, I was too shy to raise my own opinions and unwilling to help other people. Recently, I confidently shared my ideas with other people and I feel responsible for addressing conflicts between my classmates. All of us have a duty to stay united as a team,” she explains.